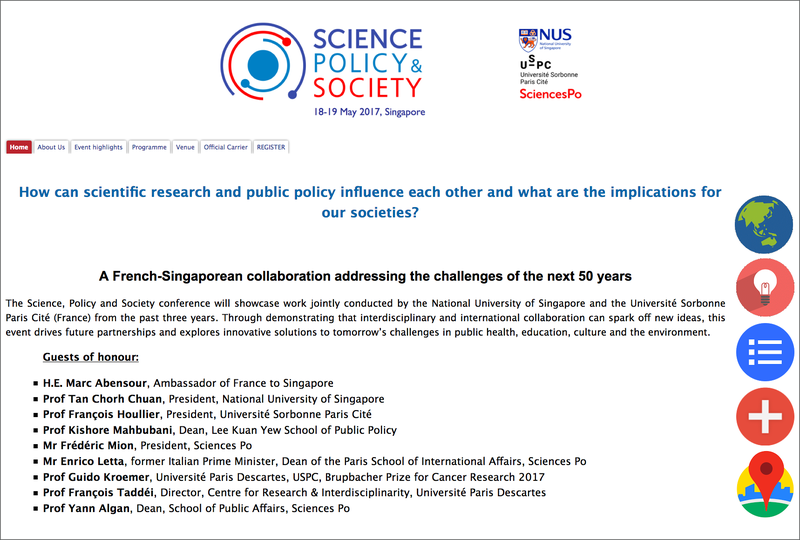 Website for the first USPC-NUS conference on “Science, Policy & Society”, organised in Singapore on May 2017. The design focuses on the readability on mobile devices in order to be used as a programme by attendees. The chosen platform, Google site, doesn’t not offer much of possibility to customize the layout and to make a responsive website, therefore choice was made to give priority to mobile devices above desktop browsers.